These are my notes from the first day I spent browsing the NAB Show floor this year in Las Vegas. Further information from the Exhibition will be posted once my trip is complete, but this should provide an overview of the important things that stood out to me the most, in time for people attending to still have a chance to go check them out, if they had escaped their notice to this point. Blackmagic Design is the first thing you are going to see when you walk into Lower South Hall, as usual, and they have a number of new products this year. The headline item is the next version of Davinci Resolve, which now integrates the functionality of their Fusion visual effects editor within the program. I have never felt Resolve to be a very intuitive program to try and use for my own work, but it is a solution I recommend to others who are on a tight budget, as they offer the most functionality for the price, especially in the free version. 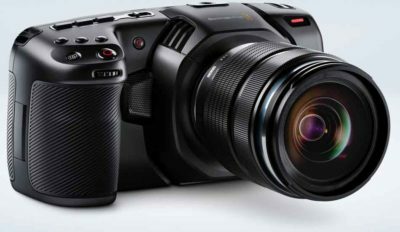 The Blackmagic Pocket Cinema Camera 4K looks more like a “normal” MFT DSLR camera, although it is clearly designed for video instead of stills. Recording Full 4K resolution in RAW or ProRes to SD or CFast cards, it has a mini-XLR input with phantom power, and uses the same LP-E6 battery as my Canon DSLR. It uses the same camera software as the URSA line of devices, and includes a copy of Resolve Studio, for $1300. If I was going to be shooting more live action video anytime soon, this might make a decent replacement for my 70D, moving up to 4K and HDR workflows. I am not as familiar with the Panasonic cameras that it is more closely competes with, in the Micro Four Thirds space. Among other smaller items, Blackmagic’s new UpDownCross HD MiniConverter will be useful outside of broadcast, for manipulating HDMI signals from computers or devices that have less control over their outputs. (I am looking at you, Mac users) For $155, it will help interface them with projectors and other video equipment. And the $65 Bi-directional MicroConverter will be a cheaper and simpler option for basic SDI support. AMD was showing off 8K editing in Premiere Pro, as the result of an optimization by Adobe that utilizes the 2TB SSD storage in AMD’s Radeon Pro SSG graphics card, to cache rendered frames at full resolution for smooth playback. This change is currently only applicable to one graphics card, so it will be interesting to see if Adobe went to the trouble because it expects to see more GPUs with integrated SSDs hit the market in the future. 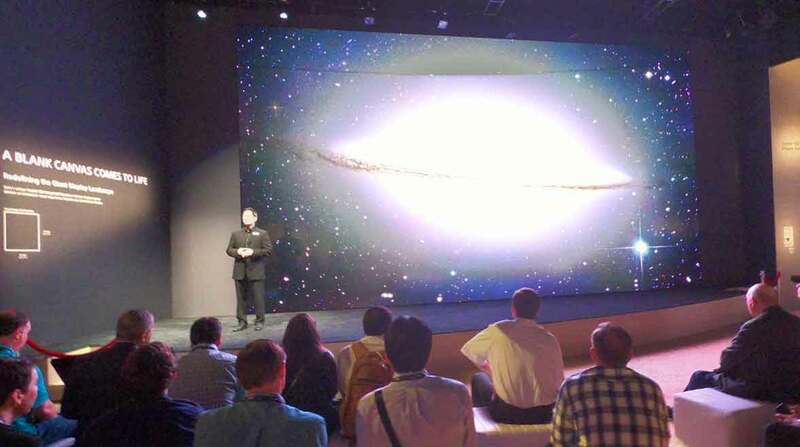 Sony is showing off CLED (Crystal Light Emitting Diode) technology, in the form of massive ZRD video wall of incredible imagery. The clarity and brightness were truly breathtaking, but obviously my camera rendered to the web hardly captures the essence of what they were demonstrating. Like nearly everyone else at the show, Sony is also pushing HDR, in the form of HLG (Hybrid Log Gamma) which they are developing into many off their products. 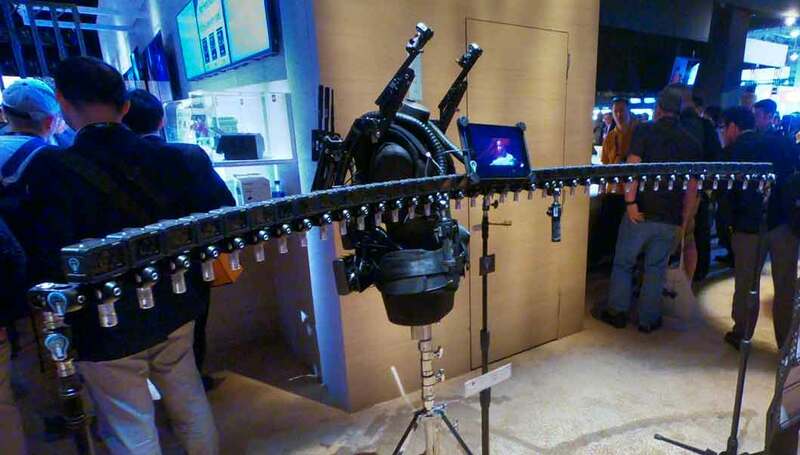 They also had an array for their tiny RX0 cameras on display with this backpack rig from Radiant Images. At a higher level, one of the most interesting things I have seen at the show is the release of ProRes RAW. While currently limited external recorders connected to cameras from Sony, Panasonic, and Canon, and only supported in FCP-X, it has the potential to dramatically change future workflows if it becomes more widely supported. Many people confuse RAW image recording with the log gamma look, or other low contrast visual interpretations, but at its core, RAW imaging is a single channel image format, paired with a particular bayer color pattern, specific to the sensor it was recorded with. This decreases the amount of data to store (or compress), and gives access to the “source” before it has been processed to improve visual interpretation, in the form of debayering and adding a gamma curve to reverse engineer the response pattern of the human eye, compared to mechanical light sensors. This provides more flexibility and processing options during post production, and reduces the amount of data to store, even before the RAW data is compressed, if at all. There are lots of other compressed RAW formats available, the only thing ProRes actually brings to the picture is widespread acceptance and trust in the compression quality. Existing compressed RAW formats include R3D, CinemaDNG, CineformRAW, and Canon CRM files. None of those caught on as a widespread multi-vendor format, but this ProRes RAW is already supported by systems from 3 competing camera vendors. 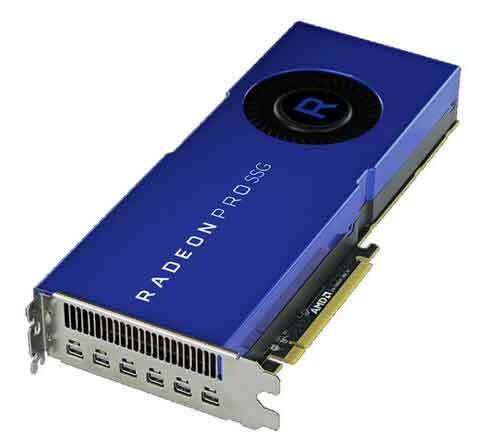 And the applications of RAW imaging in producing HDR content make the timing of this release optimal to encourage vendors to support it as they know their customers are struggling to figure out simpler solutions to HDR production issues. There is no technical reason that ProRes RAW couldn’t be implemented on future Arri, Red, or BMD cameras, which are all currently capable of recording ProRes and RAW data (But not the combination, yet). And since RAW is inherently a playback only format, (you can’t alter a RAW image without debayering it), I anticipate we will see support in other applications, unless Apple wants to sacrifice the format in an attempt to increase NLE market share. So it will be interesting to see what other companies and products support the format in the future, and hopefully it will make life easier for people shooting and producing HDR content.